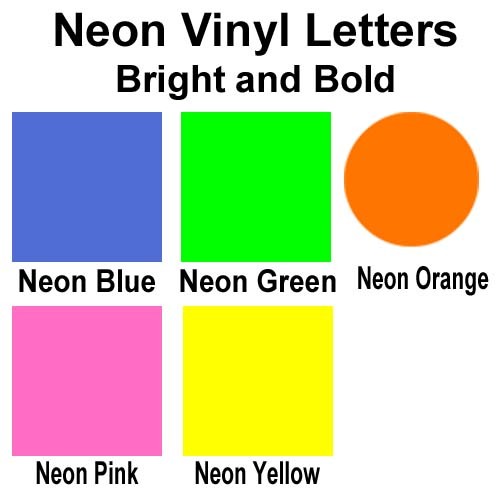 Click on your letter choice to see designs. 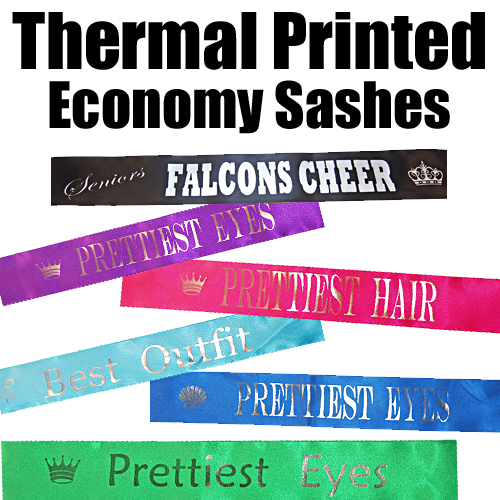 Economy Printed Sashes: 2 - 3 working days depending on the size of your order. 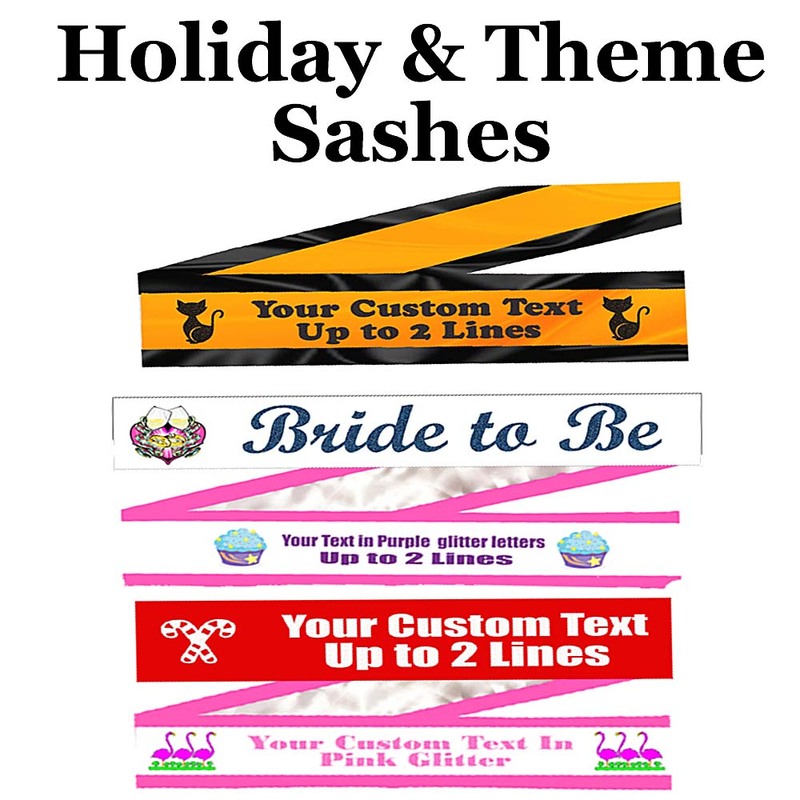 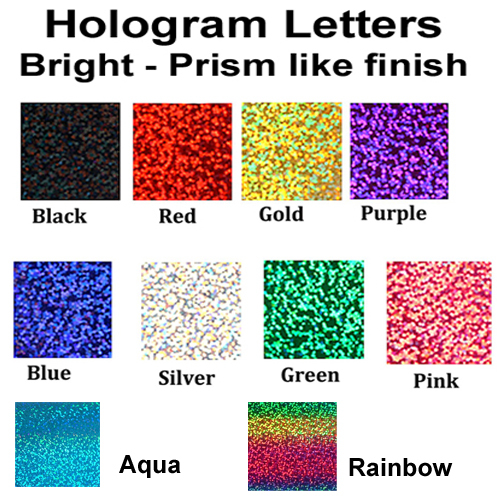 Glitter, Hologram, Neon, Full Color, Themed sashes: 3-4 working days depending on the size of your order. 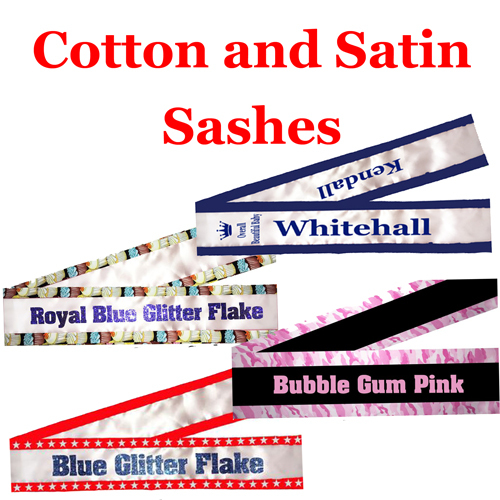 Cotton and Satin Sashes - 5 - 7 working days depending on the size of your order. 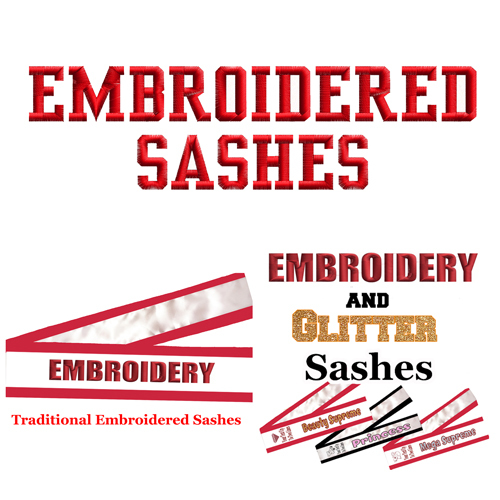 Embroidered Sashes - 14 - 20 working days depending on the size of your order. 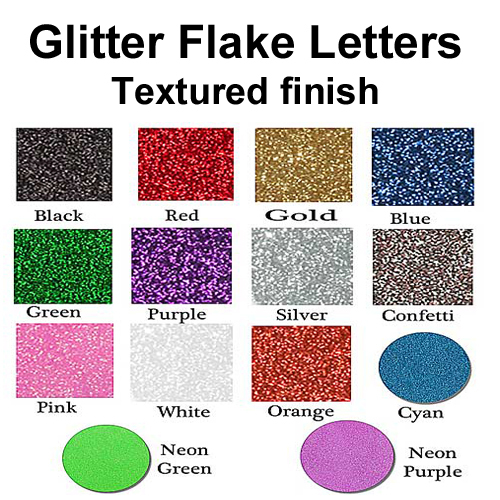 Production time does not include shipping transit time. 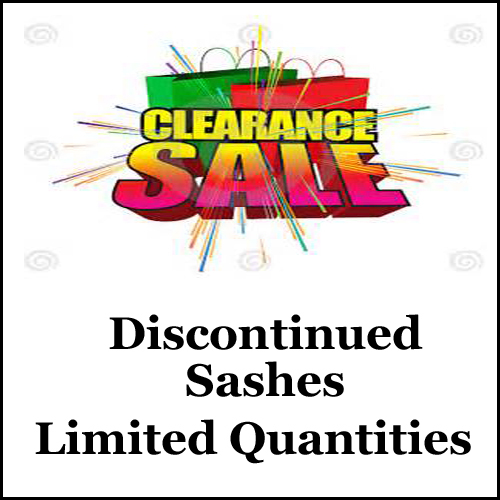 Sash orders generally ship out faster than stated production time, however, please plan on the maximum production time when planning your orders. 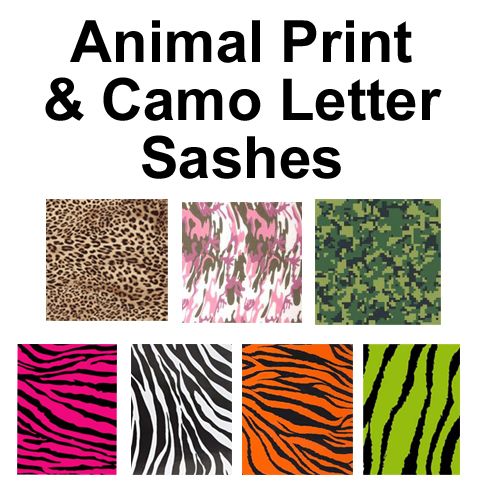 Select Rush Service for priority order processing and faster production time. 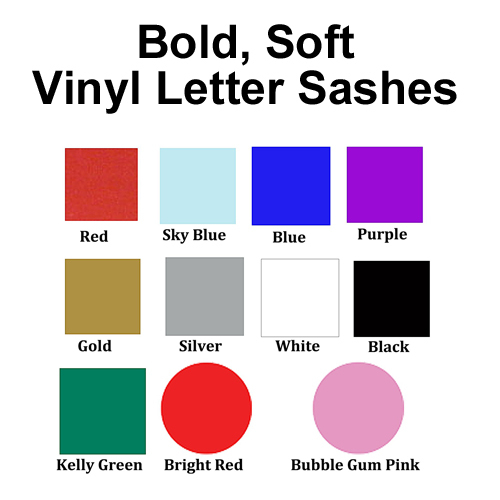 Fonts may be changed at our discretion based on material choice, number of letters and Capital letters used. 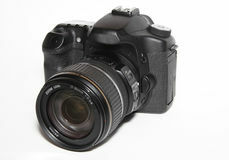 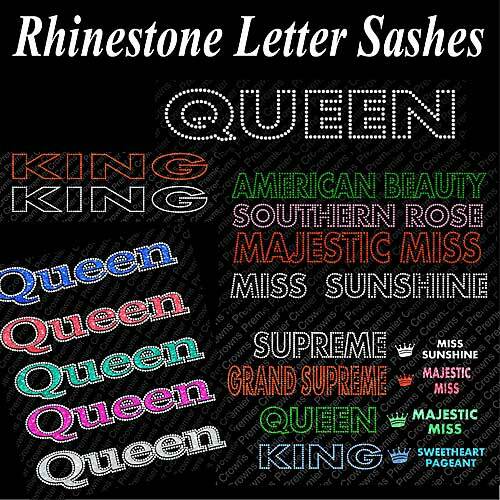 We will choose the best looking font for your text choice.